The Bible's Mystery of the Void and the Darkness - The Overlooked Wisdom! "For this they willingly are ignorant of, that by the word of God the heavens were of old, and the earth standing out of the water and in the water: Whereby the world that then was, being overflowed with water, perished: But the heavens and the earth, which are now, by the same word are kept in store, reserved unto fire against the day of judgment and perdition of ungodly men." "The mighty revelations of the purpose of GOD cannot be apprehended until the issue of believing His Word has been faithfully met." In the Holy Bible there are four distinct and separate "Creations" of the heaven and the Earth (Biblically defined, as such). Overview and history of the Genesis Gap Doctrine (Ruin-Reconstruction) interpretation of Old-Earth Creationism. An introduction to the ancient Earth's first inhabitants, the "sons of God". The ancient origin of Lucifer (a.k.a. Satan), the Angelic Rebellion (fall of the "Anointed Cherub") the consequences of the first sin within God's creation, long before Adam's fall. The "Worlds" and the "Earth"
The Biblical definitions of the words "World" and "Earth" and the interpretation of geologic and Biblical ages. 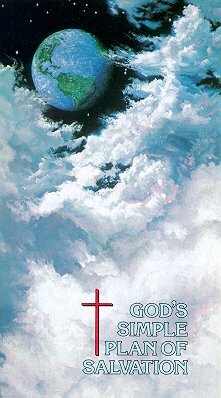 The seven days of Genesis regeneration event and a process the Greek Scriptures refer to as: "katabole"
The Three-Heavens structure of the universe, the division of the waters below and above the firmament, the three-part structural recurring theme revealed in the design of Noah's Ark, Moses' Tabernacle, and Solomon's Temple. The sun and stars were very ancient, but were regenerated on the 4th-day during the seven-days of the Genesis. Observations of Geologic Evidence for the Death of "the World that then Was"
An outline of published works in Victorian literature documenting evidence of a catastrophic extinction episode in the late Pleistocene and how it relates to the waters, darkness and destruction of the old world (as found at Genesis 1:2). Comparison of life forms on the earth in the world (prior to the seven-days of Genesis) with the kinds of life forms God made and placed on the Earth at the regeneration. Proof that Man (made in God's image) is unique and has no evolutionary or DNA links to the Pre-Adamite races of "humanoids" which inhabited the old world. An examination of the Scriptural and Geological facts that underscore the errors and misdirected focus of the 'Creation vs. Evolution' Debate. The law of sevens of the Holy Bible and the pattern of sevens in nature. The location of the Garden of Eden and the four rivers, revealed by the Holy Bible and a forensic study of regional geology. The geophysics of Noah's flood. The "fountains of the deep" and the "windows of heaven" and the geologic and atmospheric processes that produced a global flood yet left behind little evidence. Why the life spans of antediluvian mankind were greater than those of man after the flood. How the descendants of the three sons of Noah migrated to other parts of the world, the "days of Peleg" event 101 years after the great flood, and evidence of sea level changes before and after Noah's flood. How Noah's flood (although a real and global event) could not have possibly produced all the Earths sedimentary rocks and fossils. Paleoclimate indicators that match the literal Biblical time of Noah's flood found in Greenland Ice Sheet, Mount Kilimanjaro and Huascaran glaciers, and bottom sediments of the Sea of Oman. A revelation of post-flood drought and global weather pattern changes. Explanation of why the "Kingdom of Heaven" is a reference to a literal future Kingdom on the earth, and how that term differs in meaning from the "Kingdom of God" in doctrinal context. The future of Israel in prophecy is also outlined. Who and What are the Angels? Do Angels have DNA? (And other questions). The past, present and coming milestones of Biblical events. Doctrines of the Christian faith, including a comprehensive study of the Doctrines of Grace, the Book of Romans, the Kingdom and selected topics. Explains the operation of God in the Salvation process, the three-part nature of man, what happens when you become saved, and how a born-again Christian cannot possibly lose their salvation or commit the unpardonable sin. Faults and tectonic features of the Middle East, sources of future great earthquakes to come and volcanic activity prophesied near the Dead Sea area in Israel during the end times. What comes next according to the End Times visions of Daniel? On this page we move away from the geological and creation issues and turn our attention to the future and the great period of tribulation that will soon descend upon this present world of fallen Mankind. Why the King James Bible is still a trustworthy English translation today. An easy to read online version optimized for viewing on smartphones, tablets or desktop terminals. Links to external study materials concerning the Genesis Gap Doctrine ("Gap Theory"). Website Email Policy: All messages are read and comments (pro or con) are welcome, but individual enquiries requesting subject matter interpretations or clarifications, or engendering debate, may not receive a response.